Summer is in its full-swing. As excited as we are to soak in the sun, it is also true that our hair isn’t the biggest fan of the season. Whether your preference this summer is a bold dyed hair, or au naturel; whether it is to keep the long locks, or to crop it – the sun won’t discriminate. Sunlight bleaches out the hair color, it strips off the nutrients & oil off your hair, and leaves the hair dry and damaged. The results can be unpredictable. 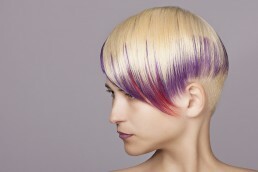 While natural hair may take on some faint highlights from the sun, dyed hair can turn very brassy, and lose its sheen. Short and vibrant hairstyles are so in this season, but if you can’t upkeep and maintain the shade’s buoyancy, then you’re basically rinsing your hard-earned dollars down the shower drain. Whether you’re thinking of a subtle change of shade, or willing to go bold with non-traditional colors that are all over Pinterest, enticing us – you no longer need to fear the upkeep. Go right ahead. Be daring. We have some easy maintenance tips to help you save that color. 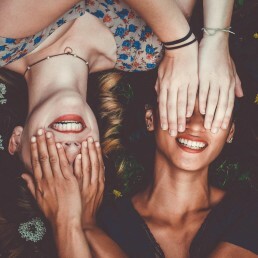 We’re all well-aware that the protection of our skin from the harmful UV rays is imperative – but it’s also important to be just as conscious about its harm to our hair. Excessive exposure to the sun can quite drastically strip the color from our locks, and cause structural impairment to the hair’s shaft. Just like your skin, you can protect your hair from the UV rays by blocking it. Wear a hat when you’re out. Buy a wide-rimmed chic hat for a nice day out, and a cute baseball cap for when you’re going to be active & out in the open. Trade your standard hair-care products for the UV protection shampoos and conditioners. Also invest in a ‘Leave-In Protectant’ that will help shield the color from the sun’s glare. Although washing daily might sound like the best option to keep the hair clean and shiny, it can be counter-productive. 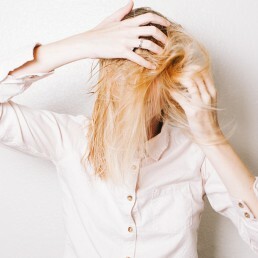 Daily washing of your hair is actually not necessary, and in fact, it can be very hard on your precious shine. Not only does everyday washing strip off the natural oil that your hair needs to stay moisturized, but it also washes off that perfect shade you’re rocking, leaving your hair dull and brassy. Spacing three days between your washes will help regain the natural moisture, and keep the color bright. If you’re one who cannot go that long without a wash, then start with skipping shampoo every alternate day, and only use a tiny bit of good sulfate-free conditioner instead. Unless you’ve exposed yourself to excessive dirt & pollution, chances are there isn’t enough buildup to need daily shampooing. Just remember that, and skip a day or two between your washes. odium Lauryl Sulfate (SLS) is a foaming agent that is used in dish detergents, laundry detergents, car washes, and unfortunately it can also be found in your daily body-care/hair-care/dental-care products. Chemical surfactants have been around for less than hundred years, while Natural soaps and remedies have been around for thousands of years. So you can close your eyes and make a pick. Using inexpensive shampoos that have sulfates, are like using cheap detergent for your hair, and it will unapologetically strip the color, moisture, oil, and nutrients off your locks! Toss away your budget shampoo & conditioner, and invest in the Color-safe, Sulfate-free haircare products. Remember: you’ve spent a lot of money on coloring, styling, and treating your hair so often. Do not ruin it by pinching on the ‘maintenance’ part. If you want the longevity in your color, and shine in your locks, then be prepared to upgrade your haircare products. The price may be a tad bit higher than you’re used to – but as they say, “you get what you pay for”. Feeling like a million-dollar worth after being pampered by SMIHA hair-creatives is one thing (hint: River Ridge Mall in Lynchburg, VA). But doing your part in everyday haircare is another. Making small adjustments in your habits, and some upgrades in your products will help you maintain that perfect shade of color, and take your investment further. Now, be daring, and go get that beautiful blue, glorious green, radiant red, or perky purple, and enjoy summer! Tell us what we can help you with!